The Crossfire Minute: Are You Up to the Task If You Hear God's Audible Voice? Are You Up to the Task If You Hear God's Audible Voice? The audible voice of God usually indicates a major call and difficult tasks ahead. 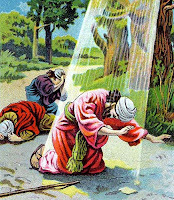 Moses talked with God and God talked directly to Moses in an audible voice. There was no indirect, opaque, or mystery surrounding God’s voice with Moses. God spoke to him directly in calling him to be the one who led the people of Israel out of slavery. God spoke to him directly when giving the Ten Commandments and the Law. Any challenge of Moses’ call or authority was met by God’s direct rebuke. For example, Miriam and Aaron began to complain and talk against Moses saying "hasn’t God also spoken to us?" When God heard this, He emphatically reaffirmed, in an audible voice, and in no uncertain terms that Moses was one to whom he spoke directly, not in riddles or in visions or dreams (Num. 12). God’s call and task for Moses was huge, as was that of Paul to whom Jesus talked directly on the Damascus Road (Acts 9:1-9). Paul became the primary communicator of the New Covenant of grace and faith. Paul was transformed from persecutor to preacher after hearing the audible voice of God. So, how badly do you want God the Father to talk audibly to you? Are you up to the task that accompanies Him speaking in an audible voice?